In 2002, ENVIRON was established to establish environmental projects such as collection activities in Egypt and Oman, offering distribution, and network maintenance as well as collection services for electricity and water metering. Delta Aromatic is an Egyptian company operating in the 3 fields: 1) agriculture – cultivation of 4000 acres in Beni Sweif, 2) Food processing – in partnership with Doehler Group Gmbh (www.doehler.com) producing juice concentrates and flavors mostly for the export market, and 3) fragrances – producing fragrances for many of the major cosmetics and house hold factories. The company was established in 6th of October city in 1985 and has a large presence in Egypt and the MENA region. El Zeini Consultancy Office For Urban Development has been established in 1975 and is a superb office in regional planning, city planning, till ending with the architectural and civil design of every structure in details. El Zeini For Agriculture Development, El Zeini had been working in the cairo alex desert road since the late 80s till now, owning and cultivating 4 farms with total area of 430 acre, designing and constructing there infrastructure, administrative, accommodation buildings and irrigation network. The Company is one of the pioneers company in Egypt for working in Egypt deserts. The plantation and the wells design were also done by the El Zeini Office. Currently the office focus is on innovation and sustainable development. Starting with WS DIA–EGYPT in 1983, the group has grown horizontally from Design, Procurement, Installations, Commissioning, Operation, Maintenance, and Investment in Build Own Operate Projects. The group covers all ranges of water related issues from basic chemical supply to filtration, water treatment plants, de-aeration, desalination, demineralization, and ZLD. 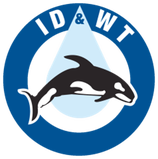 ID&WT Denmark was established in 2003, to further develop the water treatment technology of the group to increase the efficiency of the company in Europe’s most sophisticated fabrication facilities with the most up-to-date water treatment innovations. ID&WT Germany was established in 2007 for exploring Europe’s exhibitions and to manage the supply chain of our prime equipment world wide. ID&WT Oman was established in 2008, as the G.C.C. Headquarters. Shekra Crowdfunding, is an initiative supporting the entrepreneurial ecosystem in MENA and Emerging Countries through filling the funding gap that small enterprises and startups are facing (too big for Microfinance and too small for VCs). Shekra links startups and small enterprises with a network of investors on a profit and loss sharing basis. Despite being primarily equity based, Shekra also facilitates, through partner institutions, funding based on grants and non-interest-based loans as well as training, mentoring and monitoring to improve the success rate of and confidence level in startups.